You are looking south from 1st Street north and 2nd Avenue north. Downtown Minneapolis is in the background, where the IDS and Wells Fargo towers are visible. This street(1st) is the last before you get to the Mississippi River, which is behind you about 200 meters. 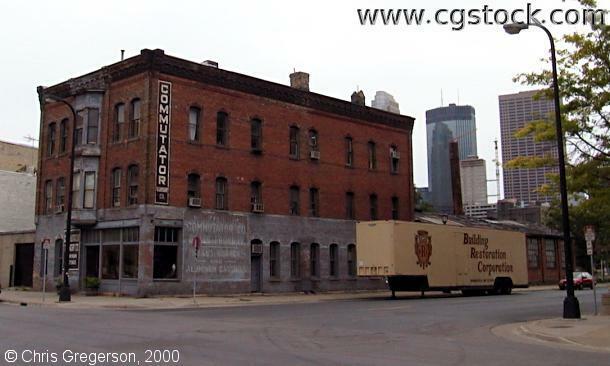 The red brick building looks old enough to be of historical interest, and the yellow trailer belongs to Building Restoration Corporation, who may be working on it.